Hello Sandra, I have no idea who puts on The Annual Mid Winter Fair in Kansas city. I have looked around but they don't seem to have a website so it is very hard to find anything out about them. Sorry I was of no help. Who puts on the Annual Mid Winter Fair in Kansas city on Feb 8th, 9th and 10th? Hello CGward, Our website is set up to be compatible for use on cell phones. Not totally sure that is what you mean but you can view our Art Fair Calendar easily from your cell phone. U guys need an app for cell phone usage it would be a great thing for your site. Hello Rena, Is there an ical? What is an ical. We don't have every single Chicago area show on our calendar. If you have a hone, our calendar goes where ever you go. Our website is phone ready. is there an ical download with all chicago land dates? Hello Donna, First off, I am so sorry you went to a show and it was not happening. I would like to know which show that was so I can check on it. Secondly, shows request that their event be added to our calendar months in advance. While they make sure to get their show on our calendar they rarely ever let us know that they removed, discontinued, or changed the show. I check shows 6 to 8 months out and verify the dates and other information about the show. However, if a show changes anything and they don't tell us, I don't know to make the correction on our calendar. Amdur shows usually have a live link with their shows. You could go to their website and check to see if there is a problem. I know how it is when you are all ready to go to a show and it is not there. Again, I am sorry that happened to you. We try very hard on our end to make sure our calendar is up to date. Makes for the 2nd time I have tried to go to something that was listed on your art fair calendar (and 2nd by Amdur Productions) and neither panned out. Meaning there was nothing. No art fair at all at either of the two that were listed on this calendar. Does this information get validated? Or updated when it's been determined an event is no longer occurring? Hello Maricela, This is a Calendar for art shows. We have nothing to do with helping people get into art shows. If you want help with that you can join Art Fair Insiders. That is a website for artists who are selling their art work for a living. Good luck. Hello Ellen, I am sorry that you went to this show only to discover that it was the following weekend. Rarely do shows send us their show dates leaving me to hunt for about 90% of the dates. I try to have the calendar updated about 6 months out. So, if a show changes their dates I have no idea once I have updated it. Thanks for using our calendar. I will try to make sure the dates are correct. Hello Sharon, I am sorry that the dates were wrong. I have to find 90% of these dates myself. I try to have the dates updated 6 months out. If a show changes their dates some time after that they rarely inform us of that. That is why it is always a good idea to give the website a look before you go to the show. Thanks for using our website. I will continue to try to make sure our dates are correct if at all possible. You ought to double check your calendar. 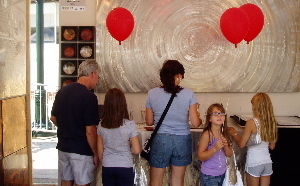 Went to Old Orchard today only to find out that the annual Northshore Shore Festival of Art is next weekend, July 8 & 9. Your calendar is apparently unreliable. Your information is not correct. I went to old orchard/westfield shopping center today and they do NOT have a show today. You state the dates are7/1and 7/2. It's the following weekend. Kind of annoyed since I went there and found out it was not this weekend. Hello Patricia. Thanks for sending your show info in to us. Show info is not posted here. If you would like to submit your show to be included on our calendar, go to our website and click the link to submit your show. We will go from there. Hello Linda. We don't publish shows in the comment section. If you want to list your show with us go to the home page and click on Advertise your show with us in the left hand column. You will find directions on how to list your show on our calendar. Hello Michael, Thanks for your comment. 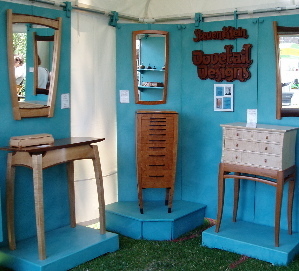 I have updated the Winter Boutique Arts & Crafts Fair to December 10th. I hope you have a great turn out. Howdy...I noticed that your date for the Hawthorn Middle School Boutique in Vernon Hills is wrong--the date is actually December 10th, not December 5th, as listed here...thought you'd like to know. 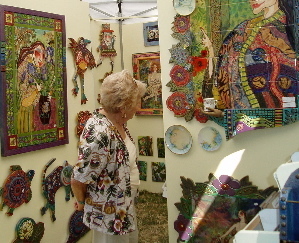 Hello Sheryl, Did you remember the Port Clinton Art Festival? I hope so. How was the show? Let us know. You FORGOT the Port Clinton Art Festival. 8/29-30, 2015. 260 juried artists. Could you please inform me on how can I get a booth to sell my handmade merchandise. how much is it? how those this work. please inform me.